Dismissed as a cultural lightweight by the man she is desperate to please, under-achieving PA, Faye Bonsu, is on a mission to find love. 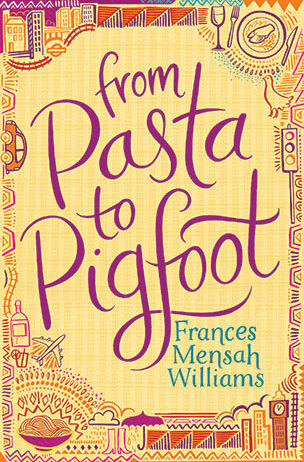 A disastrous night out leaves pasta-fanatic Faye’s romantic dreams in tatters and underscores her alienation from her African heritage. Leaving her cosy middle-class life in London’s leafy Hampstead to find out what she’s missing, Faye is whisked into the hectic social whirlpool of Ghana where she meets Sonny, the pretty-boy womaniser; Edwin, her host’s America-crazy boyfriend; Baaba, of the enormous hips and sardonic tongue; Stuart, the British expat who loves all things (and women) Ghanaian;, and the handsome Rocky Asante, a cynical, career-obsessed banker with no time for women… until now. Transported into a world of food, fun and sun, and faced with choices she had never thought possible, Faye is forced to discover that no matter how far you travel, you can’t find love until you find yourself.